In order to improve the chances of your child having a positive experience in our office, we are selective in our use of words. We try to avoid words that might scare your child due to previous experiences. Please support us by NOT USING negative words that are often used for dental care. This will also help you understand your child’s description of the filling experience. Our intention is not to “fool” your child; it is to create an experience that is positive. We appreciate your cooperation in helping us build a good attitude for your child! These are very important ways that you can actively help in the success of your child’s visit. We are confident that all will go well and hope these guidelines will help prepare you with confidence for your child’s upcoming appointment. Q: How does a pediatric dentist help with dental anxiety? A: Pediatric dentists have special training in helping anxious children feel secure during dental treatment. And pediatric dental offices are designed for children. 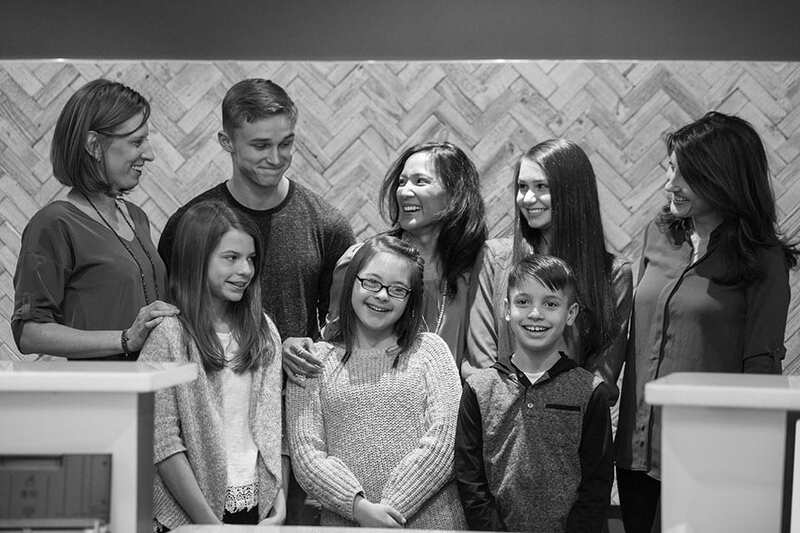 Staff members choose to work in a pediatric dental practice because they love children. 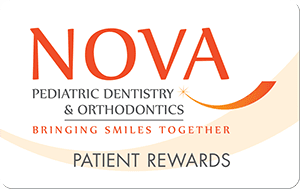 At NOVA Pediatric Dentistry & Orthodontics, our patients are calm, comfortable, and confident. Q: How will a pediatric dentist help my child feel comfortable? A: Pediatric dentists are trained in many methods to help children feel comfortable with dental treatment. For example, in the “Tell-Show-Do” technique, a pediatric dentist might name a dental instrument, demonstrate the instrument by using it to count your child’s fingers, then apply the instrument in treatment. The modeling technique pairs a timid child in dental treatment with a cooperative child of similar age. Coaching, distraction, and parent participation are other options to give your child confidence in dentistry. But by far the most preferred technique is praise. Every child does something right during a dental visit, and pediatric dentists let children know that. Q: Should I accompany my child into treatment? A: Infants and some young children may feel more confident when parents stay close during treatment. With older children, doctor-child communication is often enhanced if parents remain in the reception room. Q: What if a child misbehaves during treatment? A: Occasionally a child’s behavior during treatment requires assertive management to protect him or her from possible injury. Voice control (speaking calmly but firmly) usually takes care of it. Some children need gentle restraint of the arms or legs as well. Mild sedation, such as nitrous oxide/oxygen or a sedative, may benefit an anxious child. If a child is especially fearful or requires extensive treatment, other sedative techniques or general anesthesia may be recommended.